This trip is designed to give you the opportunity to photograph all the diversity that the Yukon has to offer. We will cover the area around Whitehorse, Dawson City, Tombstone Territorial Park and areas along the Alaska and Dempster Highways. You will visit the Yukon Wildlife Preserve to photograph all the animals that exist in the Yukon. 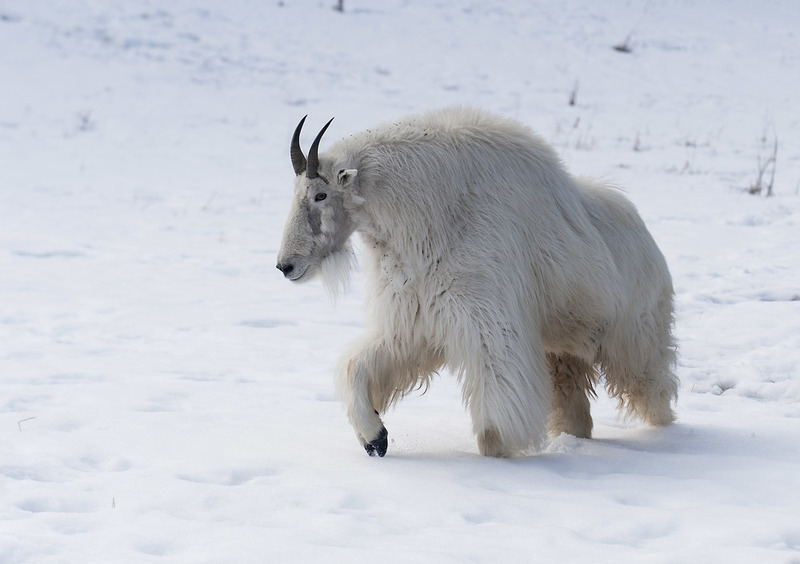 Species include, Mountain Goats, Thinhorn Sheep, Arctic Fox, Woodland Bison, Canada Lynx, Moose, Musk Oxen, Caribou, Elk and Mule Deer. Our time at the Preserve will be spent behind the fence lines for an intimate photo opportunity with these animals… no fences, no casual vacationers, a private photo session for half a day with these majestic animals. You will also be shooting winter mountain landscapes in what they call the Patagonia of Canada, Tombstone Territorial Park, and visit deserted mining towns built during the gold rush around Dawson City… Canada’s final frontier. Because this trip is partially funded by Panasonic LUMIX we will have cameras and lenses for each of you to use. We will be conducting demonstrations on how to create photographs as well as 4K video with the Panasonic LUMIX products that will be here for you to use in the Yukon. As a comparison, the regular price for this workshop is $3985CAD. 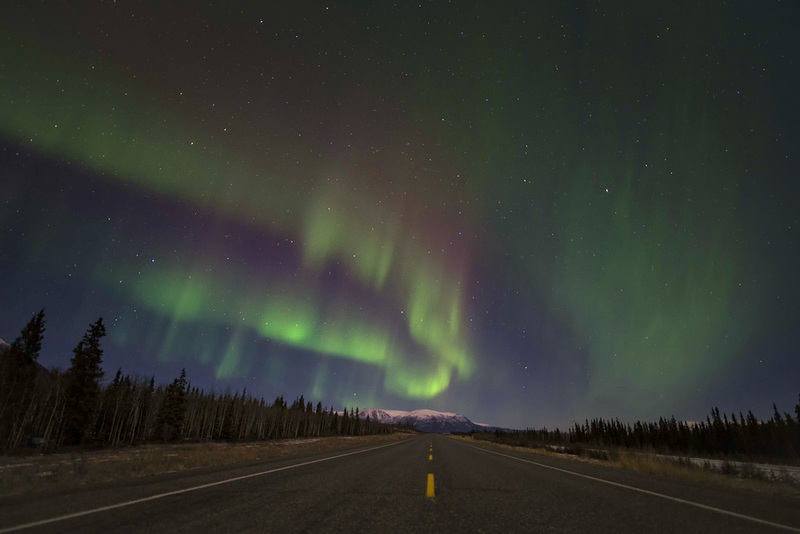 Included: Airport pick-up and drop-off in Yukon, shared accommodation, Snacks, soft drinks, water during the day, daily transportation via two 6 passenger minivans or equivalent. Hot drinks and snacks during aurora viewing nights. Deposit Required: $750CDN - Balance due before December 15th, 2016. Today you will arrive in Whitehorse from Home. You should schedule your arrivals so that you arrive in Whitehorse before 4:30pm. You will get picked up at the airport by Kevin and shuttled to our accommodation. You can unpack and have some free time before dinner. Today would be your day to explore downtown Whitehorse, get introduced to the line up of Panasonic gear that will be here for you to use on this trip and then go for a group dinner and go over the itinerary, get to know one another and discuss the various photography situations we will find ourselves in this week. After dinner, if the skies are clear, we will head out into the countryside for one of many nights of aurora photography. 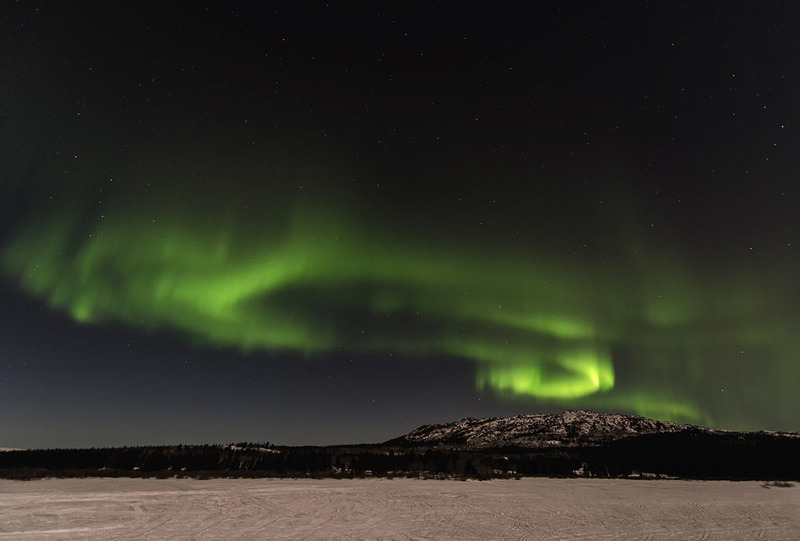 There are a number of spots around Whitehorse that we have identified with interesting foreground elements that will enhance your aurora images. Tonight we will be staying at the Westmark Inn in Whitehorse. Today is our day to hop on our two-man dog sled and ride as people have done for centuries in the Yukon. Imagine sledding across untouched snow on a perfectly clear winter day in the Takhini Valley, I can attest that has a profound effect on the human soul. You are surrounded by low-lying mountain ranges where the only sound you hear is your dog team, running at a modest pace as they love to do, and perhaps the call of an eagle or a raven nearby. With frequent stops to take photos, I am sure you will agree when we get back that this was a once in a lifetime experience. Then, as the day winds down and you need to relax, it’s a visit to the Takhini Hot Springs for a soak in the outdoor hot springs and soak up the memories and the atmosphere. In the morning while the animals are more active we will visit the Yukon Wildlife Preserve for our 3 or 4-hour private photo shoot with Yukon’s wildlife. The diversity of natural habitats on their 700 acre site allows for the unique presentation of northern Canadian wildlife. Their remarkably varied landscapes include low-lying flat lands, rolling hills, wetlands and steep rock cliffs. Visitors will experience a range of ecological features on a trip to the Yukon Wildlife Preserve and be presented with photographic opportunities that will allow you to photograph the animals as if they were in the wild. Day Four – Today We head north to the heart of the Yukon. Today we will head north to Dawson City, the last Frontier of Canada, famed for the Yukon Gold Rush, steeped in history and tradition, a place you will remember for a lifetime. Today's drive will see us leave civilization and wind north through small towns and mountain landscapes, stopping often to take photos at stops along the way… the further north we go, the more remote we will get until we end up at the quaint and colorful town of Dawson City. Upon our arrival we will check into our hotel and unwind over dinner, awaiting the sun to descend, and hopefully a night of aurora before us. Tonight our accommodation will be at the Aurora Inn in Dawson City. Day Five – After breakfast we will be taken out by our local guide to visit a few local ghost towns, buildings still standing as they were up to 100 years ago. These two locations form part of the Yukon’s historical gold rush, now sitting abandoned for your photographic pleasure. After our day of abandoned photography, we will head back to the hotel to relax, download images and go through the images together, discussing editing styles in an optional photo editing teaching class. 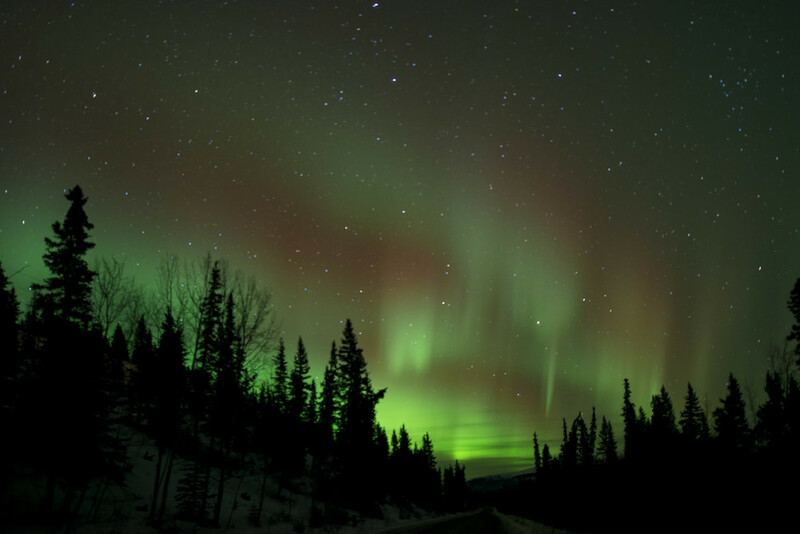 After dinner, its aurora hunting in different areas around northern Yukon… from Dawson City to Tombstone Territorial Park we will track down the aurora to take images of the night skies as they turn colours with curling bands of light that most people wish they had the opportunity to see. 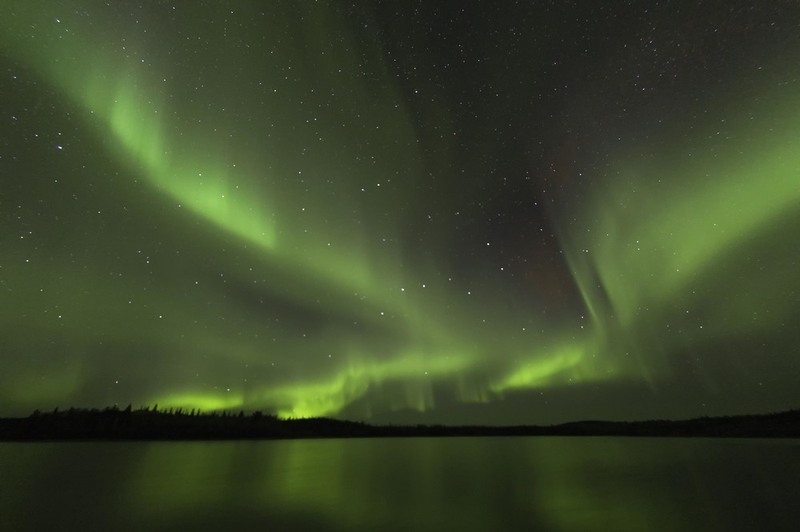 Day Six – Our night will have been a late one… up to the wee hours of the morning taking images of the northern lights. Today we will sleep in and have breakfast together. After breakfast we will have another editing session to discuss aurora photography editing. I will give you some ideas on how to edit, how to compose and create impactful aurora images. After lunch we head out for a sunset photo shoot in Tombstone Territorial Park… long into the night we will remain at different locations in the Park at many areas we have scouted. You will be photographing winter landscapes before the sun goes down and then, as night descends, some long exposure images that include star trails as we wait for the aurora. Tonight we will stay out as long as the aurora puts on her nightly show at this time of year. Day Seven - Its Back to Reality. If you want to see the last true frontier in Canada, click the button to contact us and we will see you there.